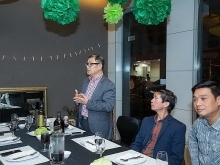 (VEN) - Although facing many challenges and difficulties in socioeconomic development, Vietnam has made remarkable achievements over the years in various aspects. The most important achievement has been the transformation from a centrally-planned agriculture-based model into a market-led economy. Thanks to this, Vietnam has given out of backward development, changing from one of the poorest countries in the world into a lower-middle income country. Vietnam has recorded high economic growth, while the poverty rate has sharply fallen and the economic structure has shifted positively. In addition, the country has actively participated in the international economic integration process. After three years of innovation, Vietnam’s economy remained difficult. Inflation in 1987 and 1988 stood at 323.1 percent and 393 percent, respectively. However many important changes occurred in 1989. The state decentralized and transferred cultivation land use rights to each household following Resolution 10 and eliminated the monopoly in foreign trade activities. In addition, stamps and price controls were also abolished. 1989 was the first year Vietnam fully met domestic food demand and exported 1.4 million tonnes of rice. This achievement underlined Vietnam’s efforts in agricultural production. Hyperinflation drew to an end in mid-1989. In addition, problems in distribution and the circulation of goods came to an end, while the macro environment became more stable. Many policies became a leverage to help the country enter a new phase in 1990. The introduction of the Law on Private Enterprises and Company Law and the recognition of the private sector in the economy in the 1992 Constitution played a key role in institutional reforms towards the market economy. Economic growth during the 1990s reached around eight to nine percent a year. This achievement was obtained thanks to improved production capacity and higher investment efficiency as a result of economic reforms. In the 1997-1999 period, Vietnam’s economic growth plummeted due to the Asian financial crisis. After the recovery period with spectacular economic growth thanks to strong impacts from the US-Vietnam Bilateral Trade Agreement and the participation in the World Trade Organization, Vietnam faced the global economic crisis. The country’s economic growth sharply declined, while structural problems of the economy became serious. Vietnam had trade relations with many countries before the current economic reforms, mainly with the socialist countries. Vietnam implemented the open-door policy in 1986 and the Law on Foreign Investment in 1987 helped the country attract investment capital and promote international trade. Vietnam normalized relations with three key international financial institutions in 1993 including the World Bank, the International Monetary Fund and the Asian Development Bank. The US ended trade embargo of Vietnam in 1994 and the two countries established normal diplomatic relations. On July 28, 1995, Vietnam joined the Association of Southeast Asian Nations. Vietnam was admitted as a member of the Asia-Pacific Economic Cooperation in 1997. The US-Vietnam Bilateral Trade Agreement which was signed in July 2000 and took effect on December 2001 was seen as an important milestone in the integration process. The Vietnamese economy took a big step in the international integration after participating in the World Trade Organization in 2007. Vietnam completed negotiations of free trade agreements with the Republic of Korea and the Eurasian Economic Union in late 2014. The country also concluded negotiations of the Trans-Pacific Partnership and a free trade agreement with the EU in 2015. The Korea-Vietnam Free Trade Agreement took effect on December 20, 2015. The ASEAN Economic Community was established on December 31, 2015, opening up new development opportunities for the country. 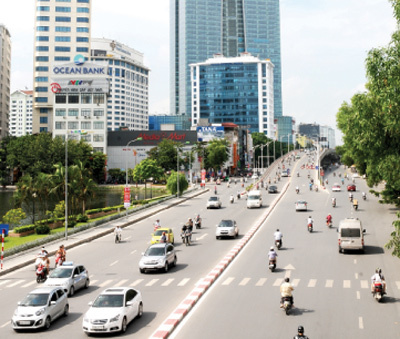 International integration has benefited Vietnam’s economic development. Commitments in the integration process require Vietnam to gradually eliminate protection mechanisms and subsidies, promote transparency in business and strengthen the implementation of standards in terms of production, management and business culture. Integration has also helped promote technology transfer and increase national competitiveness. 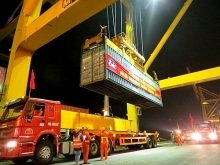 Vietnam had four key items with export turnover of more than US$1 billion by 2001. This figure increased five-fold by 2010. By the end of 2014, the country had seven groups of key items with the export value of over US$5 billion each. Foreign direct investment (FDI) attraction was seen as one of main factors leading to Vietnam’s high economic growth. The scale of FDI capital was equivalent to 10 percent of national gross domestic product (GDP) in 1994 and made significant contributions to high economic growth over the years before the Asian financial crisis (See chart). By the mid-1990s, FDI businesses contributed a quarter of total industrial production value and more than six percent to GDP. Ten years later, these figures stood at 43.8 percent and 15.99 percent, respectively. In addition to impressive achievements in terms of economic growth, the last 30 years also witnessed many other great achievements in other fields. However these development achievements will not guarantee the success of Vietnam in the coming period. The quality of growth has tended to decline and the economy can be vulnerable to external shocks. The inverse correlation between growth and inflation shows no need of exchanging growth with inflation. Combining investment data, GDP structure and employment structure, it is easy to point out the distortion in the market today caused by state owned enterprises. Despite low investment efficiency, Vietnam’s growth remains higher compared to other developing countries. In addition, growth is not based on domestic investment but is dependent on FDI. The number of key exports has been increasing annually, but focused on some traditional products with low technological level and added value such as textiles, fisheries and footwear, while other products such as phones, computers and electronic equipment has increased its export turnover thanks to the FDI sector. According to the World Bank, growth based on the FDI sector in the long term is not sustainable. Economic restructuring has been taking place very slowly, while domestic private enterprises have not ensured sustainable development. In addition, labor productivity remains low and its growth has tended to decline. Vietnam was seen as a dragon of Asia. Vietnam’s achievements such as the second place in coffee exports, the third place in rice exports and the fourth place in seafood exports may easily affect the country’s image. According to the most optimistic scenario, Vietnam is assumed to achieve GDP growth per capita at six percent for the 2015-2020 period and eight percent on average for the next periods by 2035. The result shows that Vietnam’s average prosperity level by 2035 would be lagging far behind Chinese-Taipei, the Republic of Korea, Japan and Singapore. Vietnam’s 30-year economic innovation witnessed the ups and downs in addition to breakthroughs in market access and progress in the international integration process. Remarkable achievements were recorded including high economic growth for several consecutive years and millions of people escaping from poverty. However Vietnam’s position must be improved. The development of the private sector, great institutional quality, better infrastructure and stable macroeconomic environment should be considered prerequisite development conditions. Vietnam has achieved success thanks to breakthroughs in economic reforms. In the context of offering opportunities and facing difficulties at the same time, the selection of a proper development strategy is required.